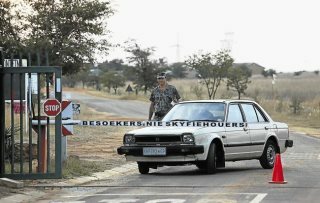 AFRICANGLOBE – The government expressed dismay on Wednesday that there were still citizens who did not want to integrate into a democratic South Africa. “This disintegration is extremely disappointing as it perpetuates the ills of the White apartheid era,” Government Communication and Information System CEO Phumla Williams said. “Such acts were the main causes of a divided South Africa,” she said. She was reacting to a report that residents of a settlement on the farm Kleinfontein, near Tshwane, had vowed that only Afrikaners would be allowed to live there. According to local newspapers, all the settlement’s residents, from the security guards at the gate to the gardeners, were White Afrikaners. Williams said all South Africans were governed by the Constitution, which catered for people of all races and religions. She said Kleinfontein residents benefited from government services. Local media reported that the Kleinfontein’s controlling body’s chairman Jan Groenewald said it would lobby the Tshwane municipality for the settlement to be declared independent. “Eventually, the African National Congress government will have to approve what we are doing here,” he was quoted as saying. Groenewald told newspapers a resident had to be “an Afrikaner with Voortrekker heritage, a Protestant Christian and abide by the Blood River covenant“. “We do not think in terms of race, we think in terms of culture… [but] you cannot ignore the fact that we have different races. That is the reality,” he reportedly said. Residents included the leaders of several rightwing groups, but the community’s directors kept them in line, he said. Next articleCan South Africa Help Nigeria to Industrialise?